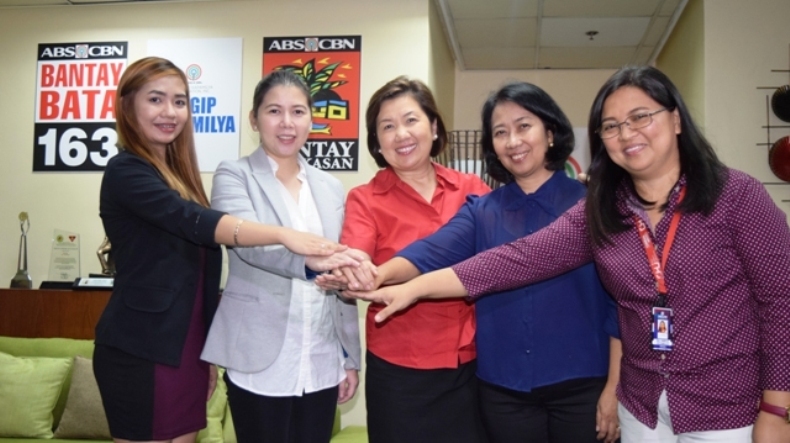 ABS-CBN Lingkod Kapamilya Foundation, Inc.’s child-care program Bantay Bata 163 recently sealed a partnership with Save 22 Philippines. In First Photo: (L-R) Maria Claudine Villegas, Account Manager-Save 22 Philippines, Sheila Charmaine Sta. Ines-VP for Sales and Business Development-Save 22 Philippines, Susan B. Afan-Managing Director of ABS-CBN Lingkod Kapamilya Foundation, Inc., Noemi Samson-ALKFI Chief Finance Officer and Sheila Estabillo-OIC of Bantay Bata 163. The Omni-channel marketing group vows to support the promotion of Bantay Bata program’s advocacy in creating a better world for children through free advertisement on LED digital billboard in Metro Manila from July to December 2016.